Home / Mac, Mac, Windows, & Web, Windows / How Do I Use the Gmail Plug-In to Integrate with Gmail? How Do I Use the Gmail Plug-In to Integrate with Gmail? 1) Follow >> this link << to download the Chrome Extension from the Chrome store. 4) Click on an email that you would like to send to your Priority Matrix inbox. Then, click the blue Priority Matrix box on the right upper corner of your screen. The first time you use the Chrome extension you’ll be asked to sign in to your Priority Matrix account. 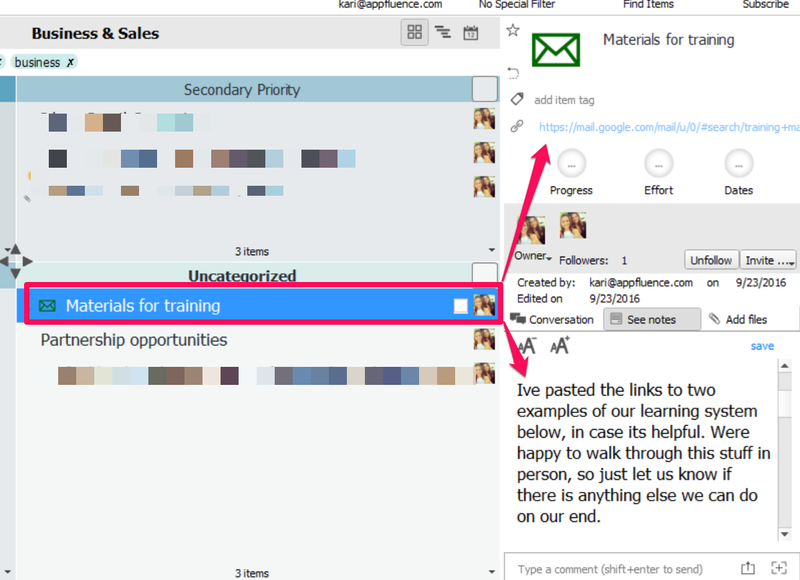 Then select Send to PM (Project or Inbox) to create an item in Priority Matrix based on the details of your email. 5) If you add the email to a PM project, you will see it in the quadrant you selected – the subject line of the email becomes the name of the task, the body of the email is in the notes section, and the item contains a link back to the original email. This means you can set a due date to remind yourself to respond, or even share the content of the email with other team members. 8) If you sent the email to your PM inbox, visit the Priority Matrix app, and click “Inbox” to find it. 9) From there, you can drag and drop it into any project! One more way to get emails into Priority Matrix is by forwarding them. This is an option that many Priority Matrix mobile app users choose 🙂 other users decide to use this option to add additional notes to the items that they forward in to the app. 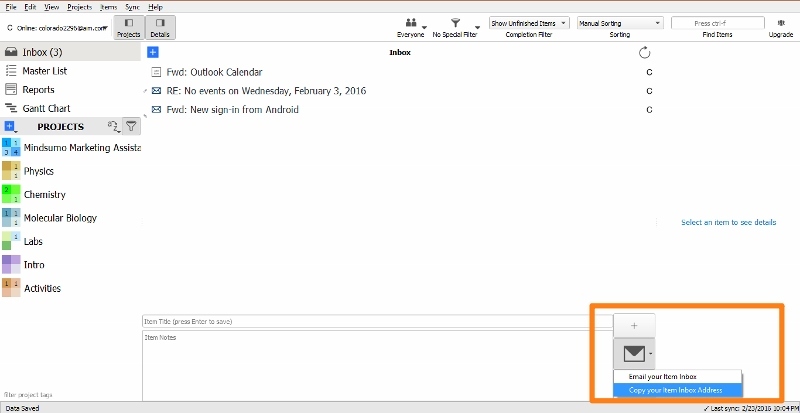 You can also set up automatic forwarding to help keep your inbox clear! Find detailed instructions on this here. 1) Your priority matrix inbox has a unique email address. In order to find this address, navigate to “Inbox”. Then, click the envelope in the bottom right hand corner and “copy item inbox address”. 2) Save as a contact in Gmail by creating a contact named “Priority Matrix” and pasting the address into the contact email. 3) Forward any email to this email address in order to transfer it to your Priority Matrix inbox.